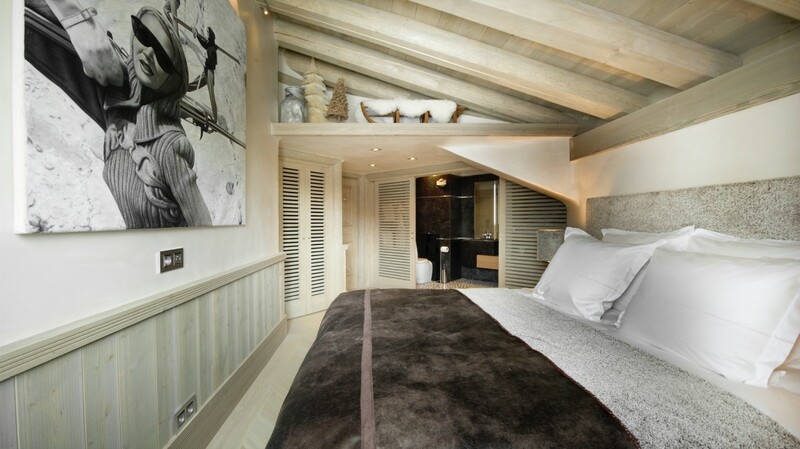 Chalet White Pearl Val d'Isere. 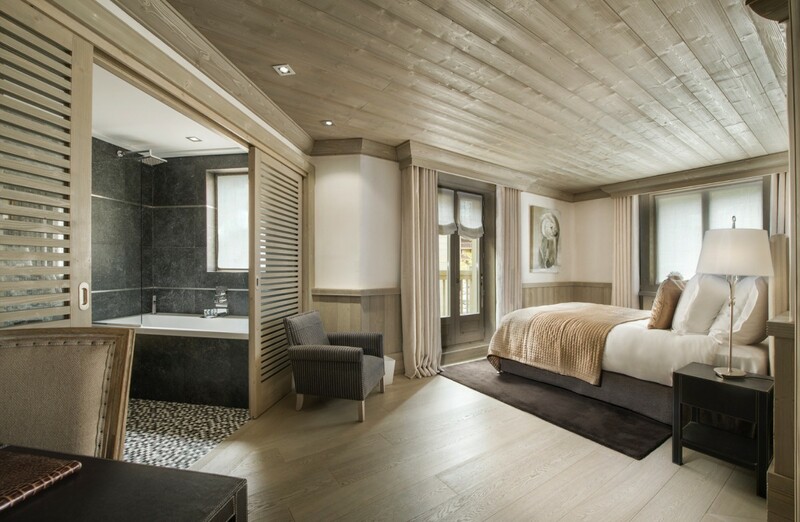 A short, chauffeur driven drive to the Funival funicular that takes you up to the La Daille slopes in the French Alps, the Chalet White Pearl stands as a flawless example of luxury, comfort and modern style. 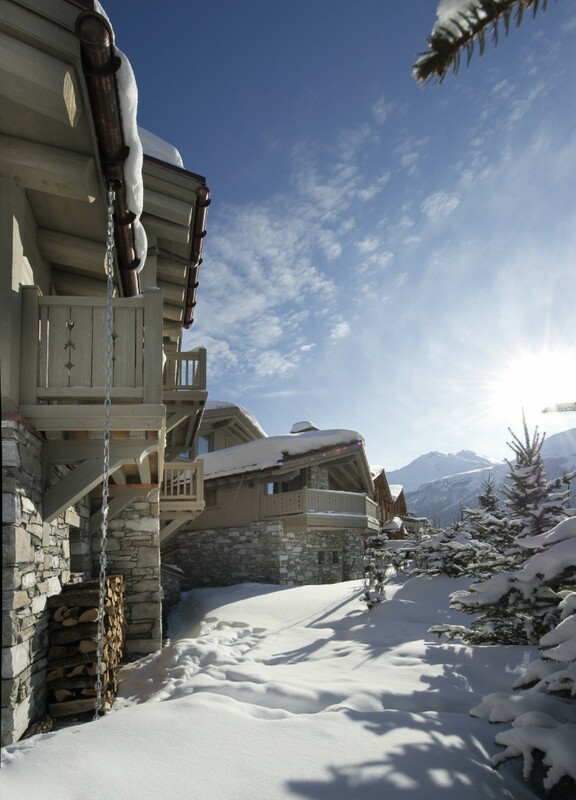 Set within the heart of Val d'Isere it is within easy reach of shops, bakeries, restaurants and entertainment, but a wonderfully private world of its own. 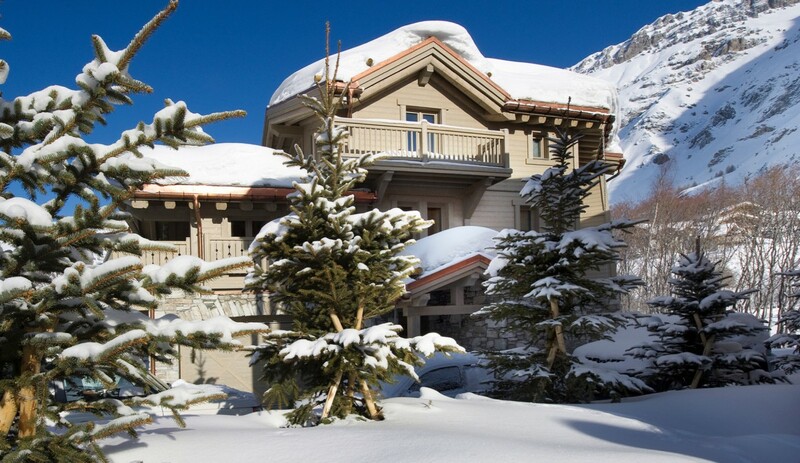 Guests enjoy a surprisingly long list of premium amenities and services within this five-bedroom, luxury chalet that includes the chauffeur driven 4x4, but also the services of a professional chef who prepares breakfast each day as well as high tea and dinner five days per week. You have a private manager, a butler and a housekeeper along with newspapers and fresh flowers. 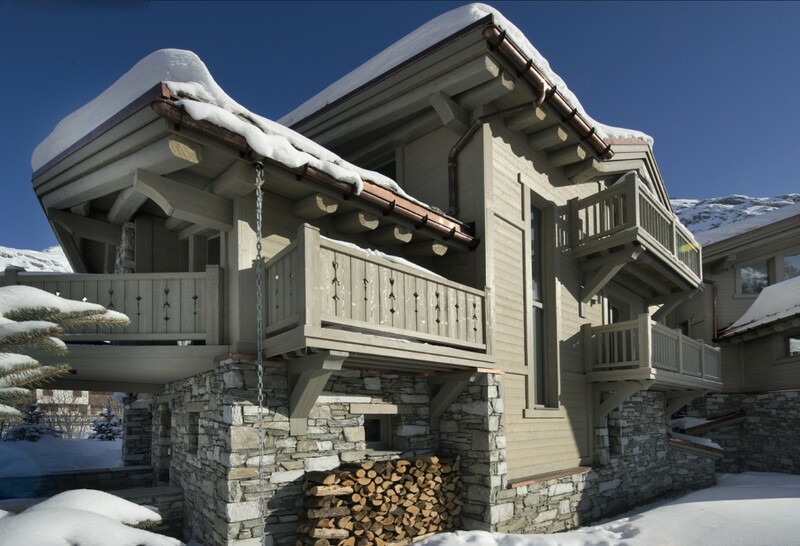 This multi-storied, classic Alpine chalet offers up a range of terraces and verandahs. 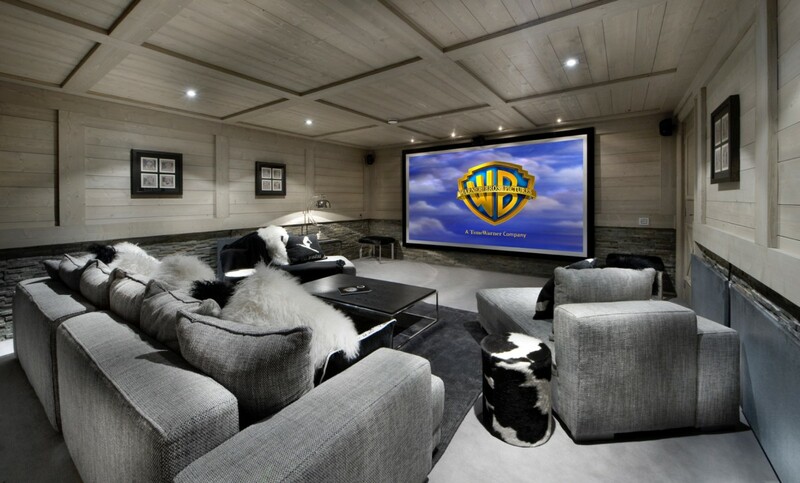 Inside, the basement level features a gorgeous and contemporary swimming pool, spa with massage room, hammam, a home theater, and lounge. The first floor offers a great room that gazes out towards the view, and opens to the terrace. 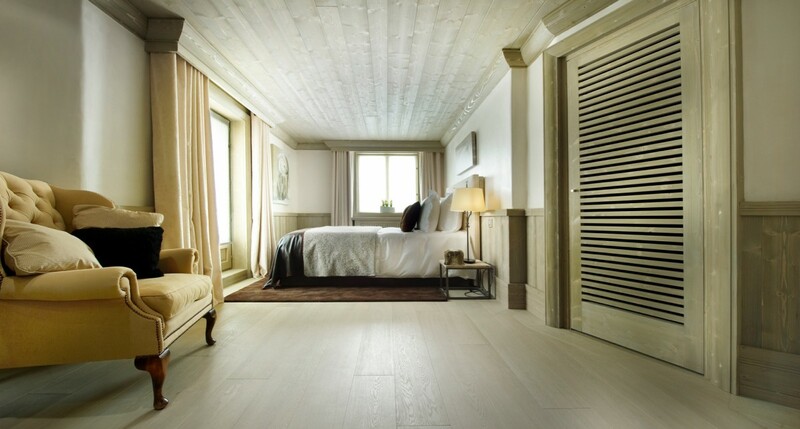 It includes the classic heavy beams, wooden walls and floors, and stone fireplace. The living room is cozy with its oversized banquette and armchairs. It opens to the dining room, and this leads to the gourmet-friendly modern kitchen. 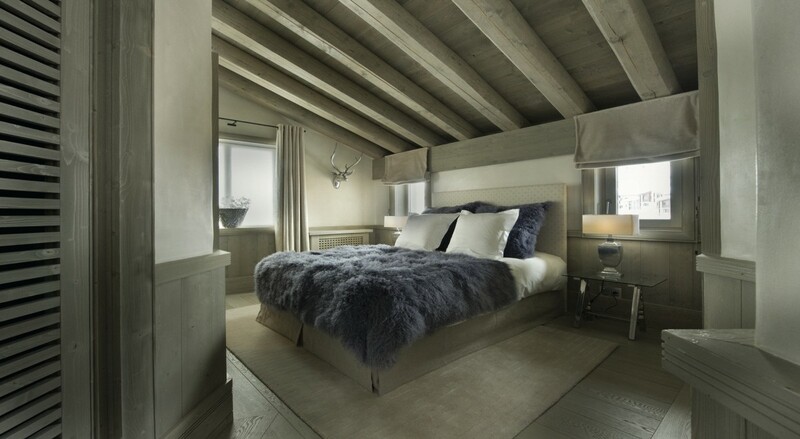 The five bedrooms are spread throughout the different levels, and each is a completely private retreat. 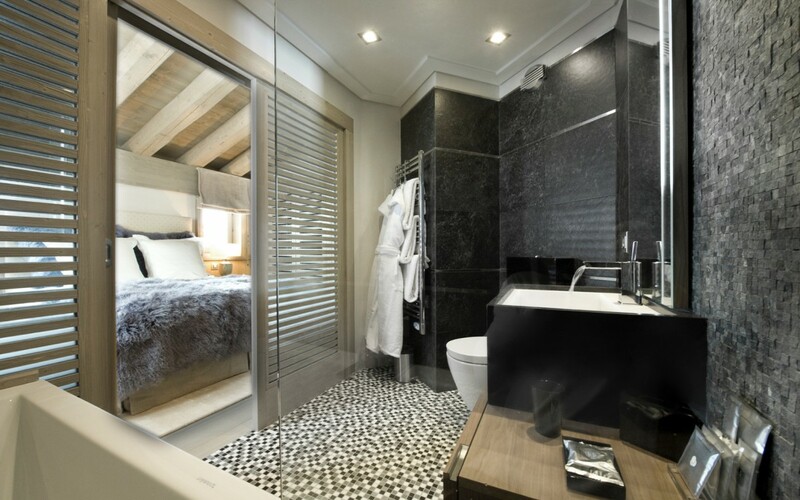 They have all been designed as master suites and offer king beds, private balconies or views, and large, opulent baths that include premium Azzarro toiletries and linens. 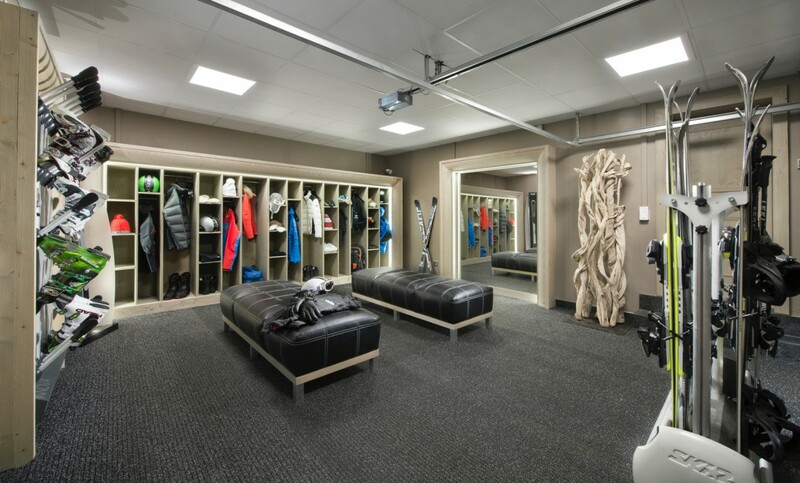 For an unforgettable family ski adventure or the ultimate getaway with your most discerning fellow world travelers, the Chalet White Pearl is impossible to beat. 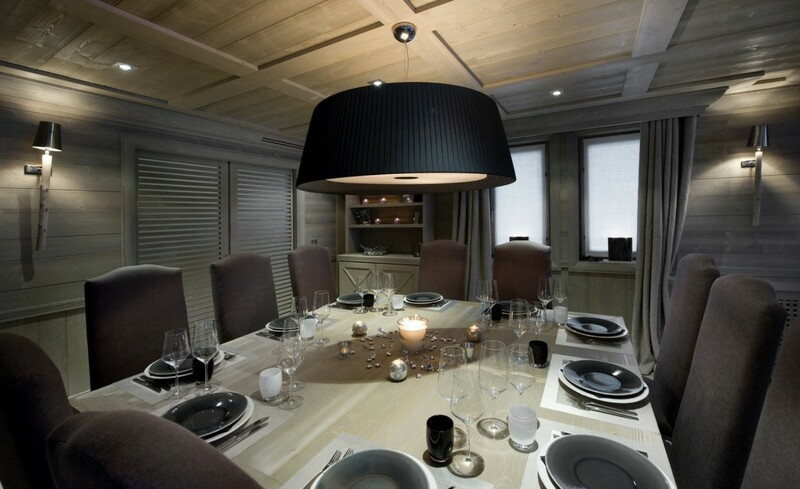 This chalet is available for booking with its sister chalet, the Chalet Black Pearl just next door. 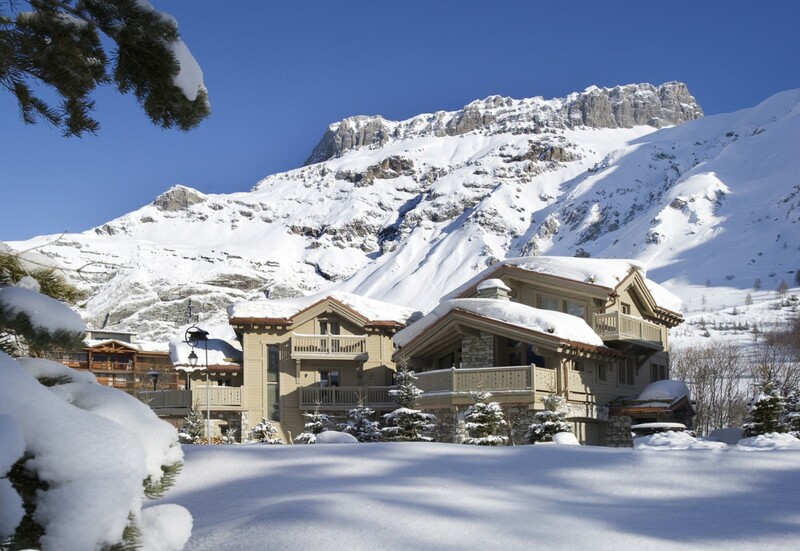 Rates includes : Welcome champagne, buffet dinner on arrival day, daily breakfast, high tea 5 days per week, dinner 5 days per week, open bar for soft drinks, daily housekeeping services with a mid-week bed, bath and pool linen change, utilities, WiFi, wood for the fire and the services of a butler, chalet manager, chef and housekeeper. Chalet staff have Wednesdays off. Bedroom 1 : Located on the Living area level Master bedroom with king-size bed / two single beds, WIFI, heating and en-suite bathroom with bathtub / shower, vanity, hairdryer, toiletries and WC. 2 guests maximum. Bedroom 2 : Located on the Living area level, with queen-size bed / two single beds, WIFI, heating and en-suite bathroom with bathtub / shower, vanity, hairdryer, toiletries and WC. 2 guests maximum. 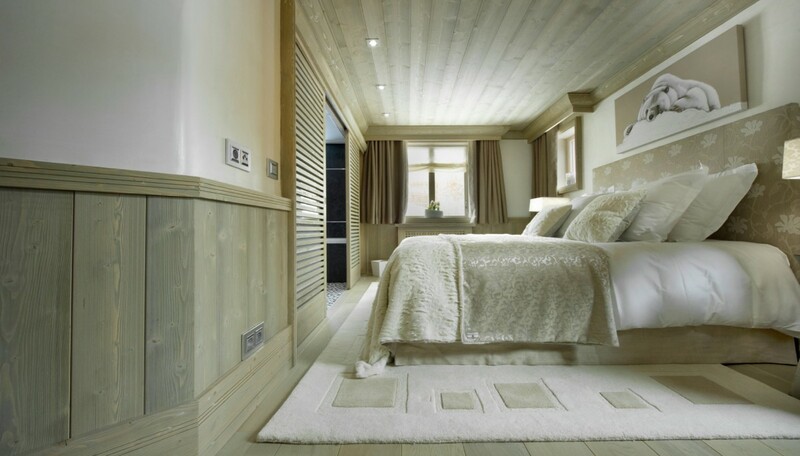 Bedroom 3 : Located on the top floor, Master bedroom with king-size bed / two single beds, WIFI, heating and en-suite bathroom with bathtub / shower, vanity, hairdryer, toiletries and WC. 2 guests maximum. Bedroom 4 : Located on the top floor with king-size bed / two single beds, WIFI, heating and en-suite bathroom with bathtub / shower, vanity, hairdryer, toiletries and WC. 2 guests maximum. Bedroom 5 : Located on the top floor with queen-size bed / two single beds, WIFI, heating and en-suite bathroom with bathtub / shower, vanity, hairdryer, toiletries and WC. 2 guests maximum.